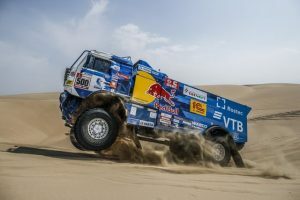 Home Breaking News PICTURE(S) OF THE WEEK – Exhausting Dakar Rally 2019 concludes! 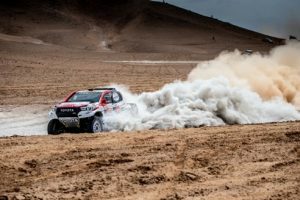 PICTURE(S) OF THE WEEK – Exhausting Dakar Rally 2019 concludes! 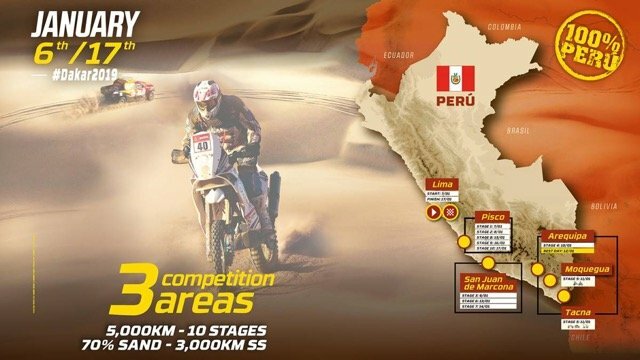 Peru welcomed the 41st edition of the Dakar that finished in Lima after 10 punishing stages, the outcome of which was victory for a heroic Toby Price (KTM) in the bike race, Nasser Al-Attiyah with his third title in the car category (Toyota Hilux), Nicolás Cavigliasso dominating the quad category, Francisco “Chaleco” López succeeding in his comeback and conversion after six years of absence with a win in the SxS race and Eduard Nikolaev picking up his fourth title in the truck race for the all-conquering Kamaz master team. 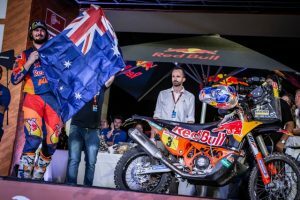 Beyond the winners, 179 riders, drivers and crews (75 bikes, 15 quads, 76 cars, 20 SxS and 13 trucks) reached Lima to enjoy a podium ceremony at the end of the day on Magdalena beach, where it all began. Log on to www.irishmotorsportsnews.com for full reports and pictures.